Many congratulations go to Dylan Johnson, who became the sixth APEAL Lab student to successfully defend their thesis in the last 12 months. 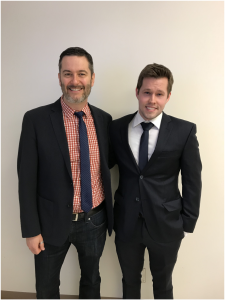 Dylan’s MSc thesis was entitled “The relationship between profiles and transitions of problem behaviour in elementary-school children and engagement in health-risk behaviours in early adolescence”. Dylan’s examiners commended him on a huge amount of work, and results that should have important public health implications. Way to go, Dylan!